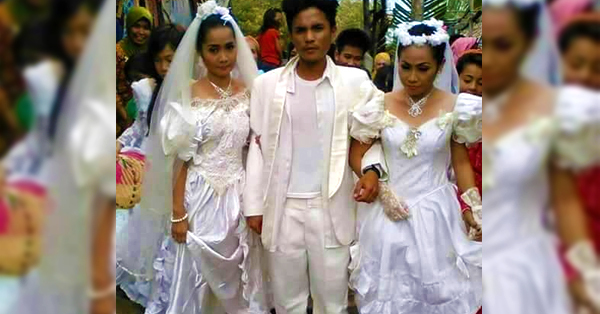 READ THIS: A Man Is Obliged to Marry Two Women at the Same Time! Incredible! Marriage is a very serious matter to discuss and talk about. In the Philippines, it is considered one of the well-established form of contract between a man and a woman over a certain period of courtship and engagement. It also ties with various customs and traditions which is unique as to compare to other countries. Not only as a legal contract, it has to do also with religion in, which may vary depending on each religions' beliefs. Most of us know that marriage should be in a form of monogamy, meaning an individual has only one spouse during their lifetime. However, this one is quite different. 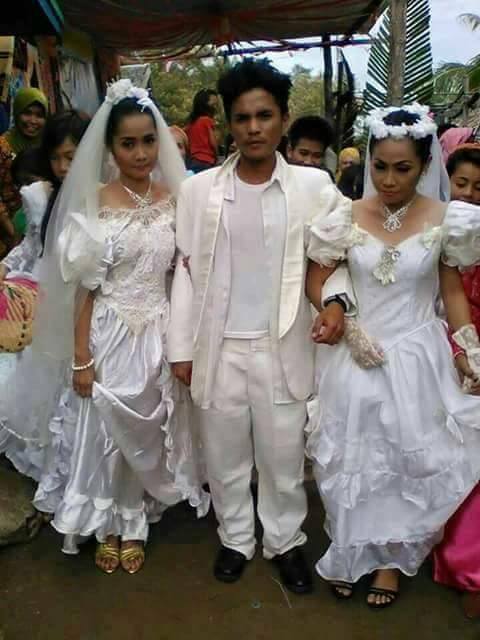 In the province of Sultan Kudarat, Philippines, there was a man who decided to marry two women who are both fighting over him. He is Razul Timbukon, 22 years old of age, who married Jarah Mendoza Labangin and Thelma Guipal. According to the source, Razul was about to marry Jarah but Thelma would not allow them because the man promised her to marry, too. Because of this uncertainty, Jarah's parents got angry after Thelma's revelation and eventually decided Razul to marry the two since it is legal for Muslims to marry more than one woman as long as he can afford both of them in living. Although it's legal in their tradition, this was a rare scenario to marry them at the same time. The three are now living together under the same roof. However, there was a report that one of Razul's wife went abroad and has not returned yet. In addition, there were also reports that the marriage was not real because they did not wear the traditional Muslim outfit but rather appeared like a Christian wedding dress.